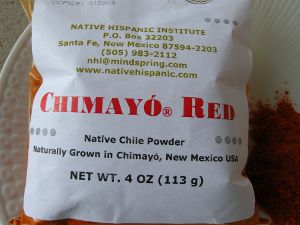 We adore heirloom foods and ethnic ingredients, so we cheered the tale of the Chimayo Chile Project and the efforts of the Native Hispanic Institute in Santa Fe to preserve this 400-year-old chile. We purchased some back in November and promised to test it and let you know the results. Is this a fabulous color or what? 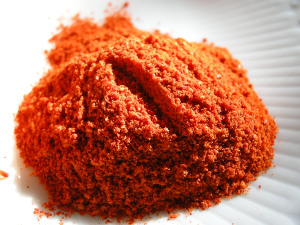 I will reserve a spot for Chimayo Red in my spice drawer.